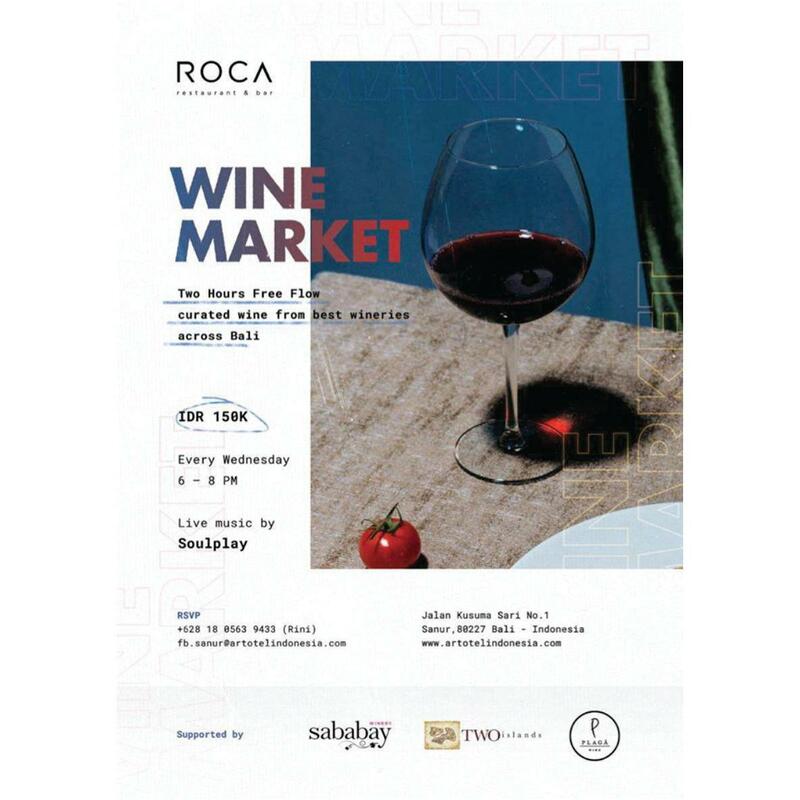 ROCA offers 2 Hours of Free Flow Curated Wine from 4 best wineries across Bali! Take your pick from more than 1 wine selection! Sips are best enjoyed in the outdoor patio filled with greens and orchid blossoms where you’ll bask in a contemporary decor serenaded by live music. And don’t worry, your waiter will make sure your glass is never dry! Every Wednesday night from 6-8 PM, priced only at 150K/person! Live music by Soulplay Band.